A take on the classic Mango Lassi using frozen strawberries. 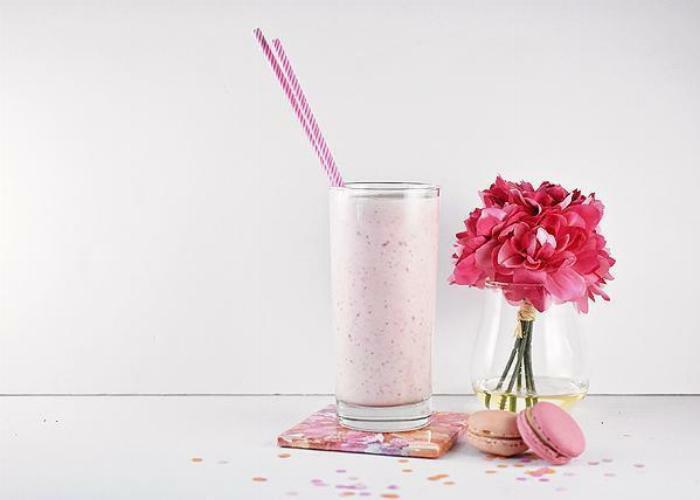 This delicious, yet healthy drink can pass as a shake for the kids! I use my Oster Smoothie Maker to whip it up in a minute - literally! 1Add all ingredients to your smoothie maker or blender. 3Pour into a large glass and enjoy!